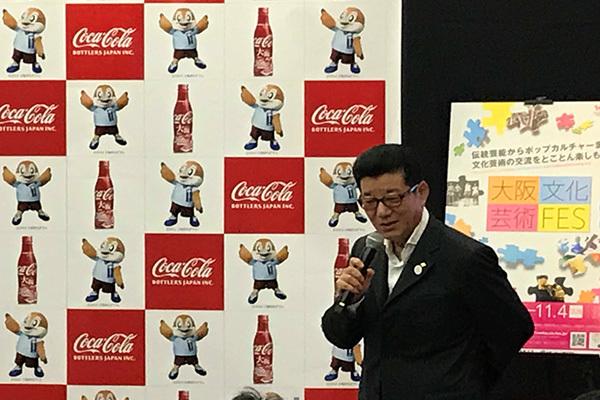 CCBJI made a courtesy visit to the Osaka Prefectural Government｜Coca-Cola Bottlers Japan Inc. 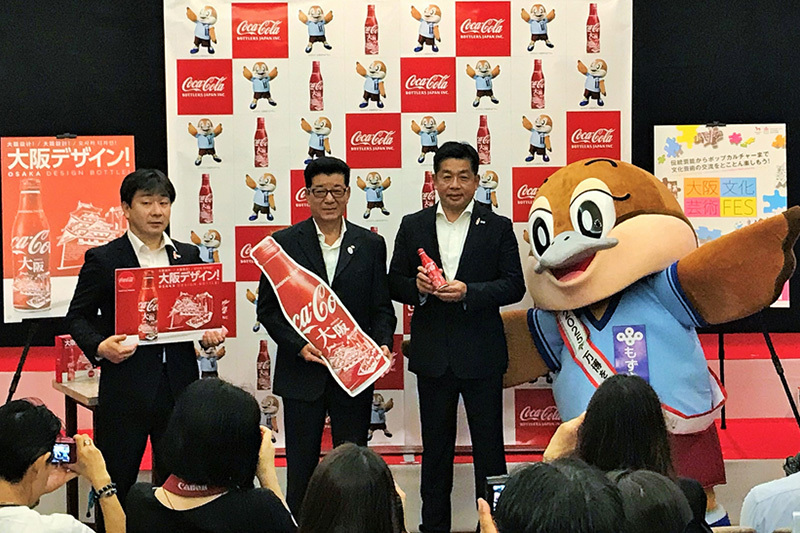 Partial Proceeds will be donated to "Osaka Art and Culture Festival"
On October 1 (Monday), 2018, Coca-Cola Bottlers Japan (hereafter "CCBJI"), based in Minato-ku, Tokyo, and headed by Representative Director and President Tamio Yoshimatsu, will introduce the Osaka design version of "Coca-Cola" Slim Bottle which comes in a stylish, special package designed with illustrations of local sightseeing spots. 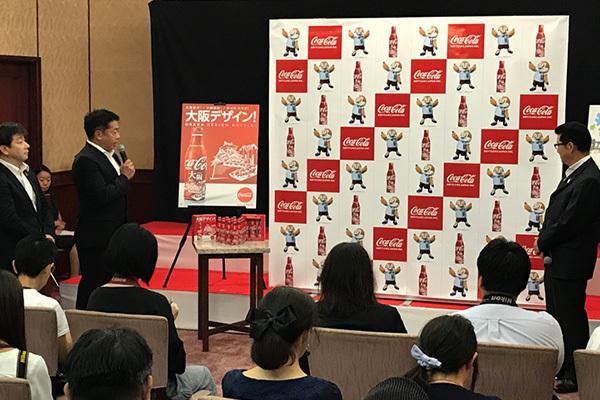 Ahead of its introduction, on September 20 (Wednesday), the Osaka design version of “Coca-Cola” Slim Bottle was presented to Governor of Osaka Ichiro Matsui. In his greeting speech, CCBJI Senior Executive Officer Yoshiki Fujiwara said, “We have been introducing design bottles in each region for the purpose of regional development. We would like to have partial proceeds from the sales of “Osaka version” utilized for Osaka Art and Culture Festival, which started in 2017, to create the appeal of Osaka as a city. In response, Governor of Osaka Matsui said, "Your suggestion to liven up the mood in Osaka is greatly appreciated." "Osaka design" that will be introduced this time is a special design with iconic illustrations of Osaka Castle, Umeda Sky Building and takoyaki (ball-shaped pancake containing pieces of octopus) and is available only in and around Osaka.